The soon-to-be-former cast of BYUtv’s “Studio C” have big plans. They’re going to launch not one, not two, but five new online shows. But that’s just the beginning. They’re launching an online network in January. All 10 members of the original cast of the BYUtv sketch comedy show — Madsen, Adam Berg, Whitney Call, Mallory Everton, Jason Gray, Stacey Harkey, Stephen Meek, Matt Meese, James Perry, Jeremy Warner — are on board. The plan is to get the JK! Networks up and running with a couple of sitcoms, a reality show, a sketch comedy series and a still-to-be-announced fifth show. The JK! Network (as in “just kidding”) will have its own YouTube channel and will be cross-platformed on Facebook Watch. It will be advertiser-supported — so, yes, there will be commercials. “We have no intentions of creating subscription-based content,” said Harkey. For more information, they’re encouraging fans to check out videos they’ll be posting each Wednesday on the JK! Studios YouTube page and Patreon.com. “We’re going to be rolling out shows on a consistent basis,” Gray said. The plan is to “bring in other people” who will create, write and produce shows. “We’re hoping to create a family-friendly comedy hub, where people know they can go and get new content all the time,” Madsen said. 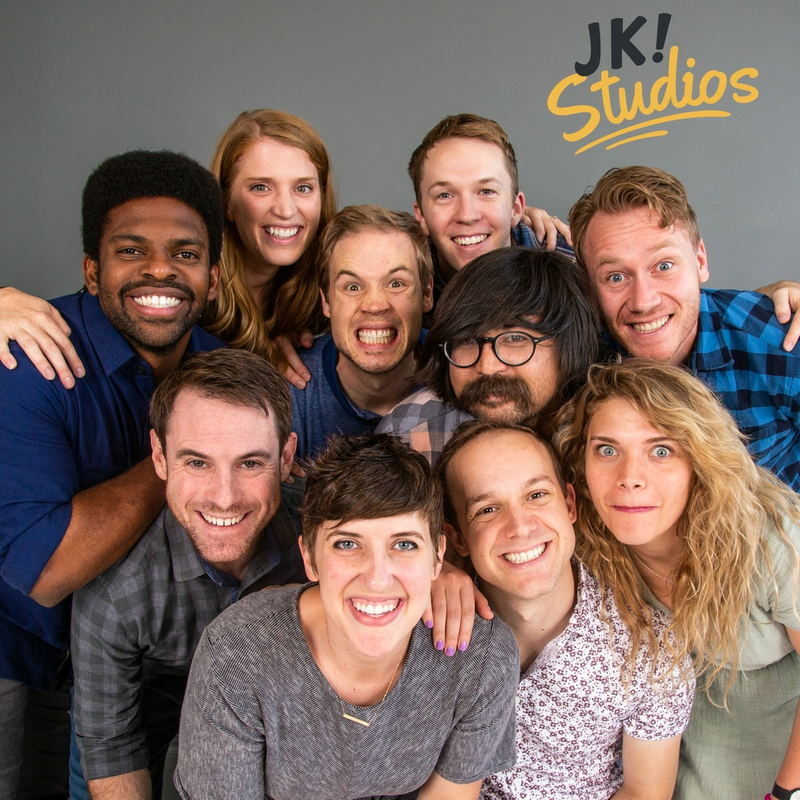 (Photo courtesy Justin Hackworth) The original cast of BYUtv's “Studio C” — (clockwise from upper left) Stacey Harkey, Natalie Madsen, James Perry, Adam Berg, Jeremy Warner, Jason Gray, Mallory Everton, Stephen Meek, Whitney Call and Matt Meese — are launching five new shows and an online channel in January. The group’s “Studio C” sketches have done astonishingly well online. The show’s YouTube channel has nearly 2 million subscribers and has gotten more than a billion total views; one sketch alone — the soccer shoot-out with Scott Sterling (played by Meese) — has been viewed more than 62 million times. They’re leaving BYUtv behind — the last season of “Studio C” that features the original cast began airing Monday. (That show will continue with a new cast.) But the original cast members aren’t leaving Provo. The plan is to produce the shows at various facilities in Utah County. 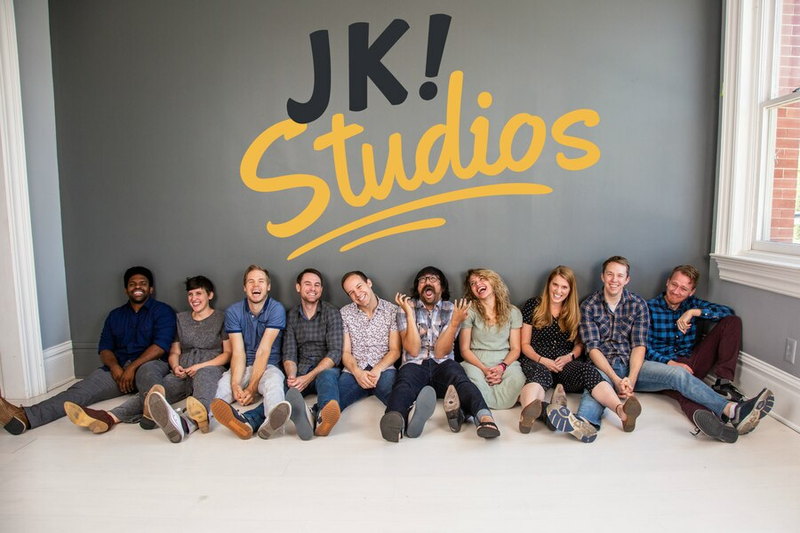 The team behind JK! Studios understand they’re facing a big challenge, and they understand there will be skeptics out there. But they’re quick to point to the unexpected success of “Studio C” and those billion-plus views online.